In a piece for Slate magazine, Matt Yglesias has pointed out a potential problem for Eurosceptics on the back of the Prism surveillance scandal. 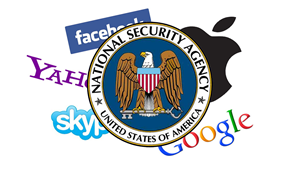 Essentially, the European Union is acting as a bulwark against American attempts to snoop on the browsing habits of us Europeans. In a piece for Slate magazine, Matt Yglesias has pointed out a potential problem for Eurosceptics on the back of the Prism surveillance scandal. Essentially, the European Union is acting as a bulwark against American attempts to snoop on the browsing habits of us Europeans. That’s right. The big bad EU which spends it’s time trying to impose straight bananas on the British public is actually fighting back against attempts by American corporations (with a little more than the acquiescence of the US government) to monitor us online. In other words, the US wants untrammeled commercial access to user data and the European Union is standing in their way. I would not expect too much from the EU. See the European Union Corporate Observatory. If you believe that pan-European organisations like the EU or Commission actually care about the people of Europe, you must be ridiculously naïve. You’ve also overlooked the fact that some governments, not least HM Government, have appalling records for spying on their citizens. This is why The Corrupt UK Government want’s out of Europe ! I am a 100% supporter of Europe !